On May 17 in Miami, more than 550 guests celebrated the progress of St. Jude Children's Research Hospital at the 12th annual FedEx/St. Jude Angels and Stars Gala, an event co–founded by Daisy Fuentes. 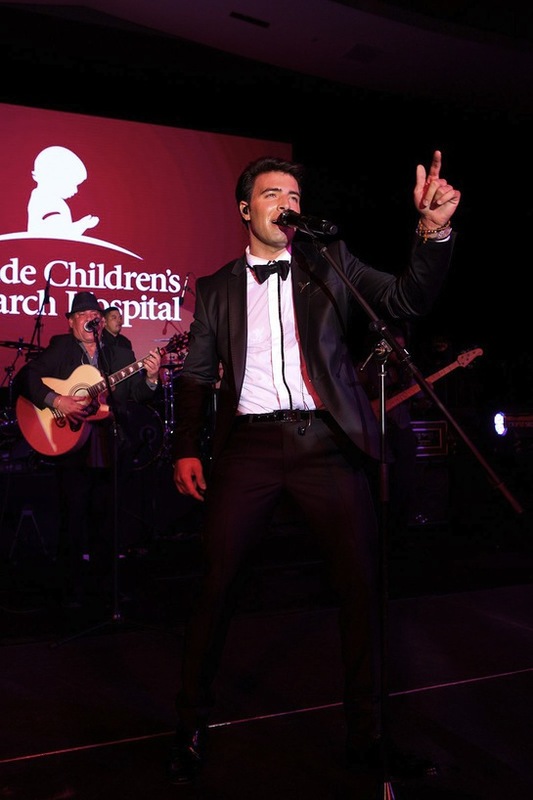 During the gala, guests enjoyed fine dining, a silent auction and live performances by GRAMMY Award winning artist Willy Chirino and singer/songwriter Jencarlos Canela. Among the noted celebrity award presenters were television and radio personalities Pamela Silva Conde, Ana Maria Canseco, Raul Gonzalez, Jon Secada, Charytin Goyco, and more. Also in attendance at the star–studded event, which celebrates diversity, were well–known Latin celebrities including: Rashel Diaz, Mariela Encarnacion, Sissi Fleitas, Candela Ferro, Khotan Fernández, Claudia Molina, Maripily Rivera, Karent Sierra, Erik Valdez, Coby Ryan McLaughlin, James Tahhan, Gabriel Valenzuela, Jason Canela, Liz Vega, Alina Mayo Azze, David Chocarro, Guillermo Benitez, among others. This year’s gala sponsors included: FedEx Express, The Gutierrez Family, The Mosteiro Family Foundation, Raul Gonzalez, Carnival, Visa, Nuage Designs, Yokota Foundation, Univision, Venezuela al Día, International Dermatology, Hola America, Fortune Realty, YEZZ, British Telecom, Wellmax Medical Centers, Ernst & Young, Café Domino, American Tower Corporation, Leon Medical Centers, DDB Latina, Westin Fort Lauderdale Hotels, Byblos Group, Andreas and Kalkidan Kaiafas, FPL, OnmiComMediaGroup, Ketel One Vodka, Nassab A. Ahmadieh Graphic Design & Photography, Ocean Drive Magazine, Selecta Magazine, Amor 107.5 FM, Mix 98.3 FM, Radio Mambí 710 AM, Univision America 1140 AM, and The Dream Team Agency.